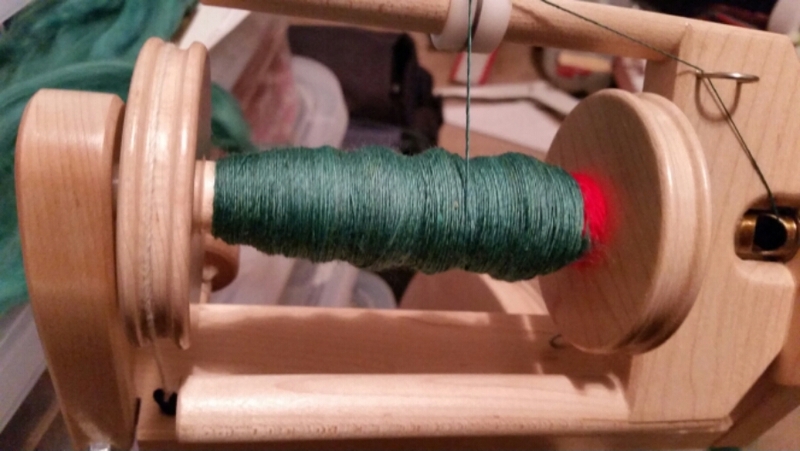 It felt quite odd Wednesday to spin and not turn right around and blog about it. I’m still not sure if I’ll write every day, but I want you, dear reader, to know that even if I don’t I’m still spinning every day and I will keep you posted on the exciting stuff. The new commitment I’m making to myself is to keep the daily practice going until I go to John C Campbell in May to take my spinning class. The only exception will be a week in March when I go visit my mother in Texas. I can’t quite see taking the wheel with me!